Heinzerling Community is operational 24 hours a day, 7 days a week, 365 days a year. Family members and guardians are welcome to visit their loved ones at any time. Tim is uniquely poised in joining the leadership team of Heinzerling Community following his decade as the Regional Director and ICF/ID Administrator for Echoing Hills Village (EHV) in Warsaw, Ohio providing innovative, life-enhancing experiences to people with disabilities. During his tenure with EHV, Tim was instrumental in providing executive level oversight of multiple facilities, overseeing sizeable operation budgets, leading the expansion and integration of the physical footprint of EHV further into the community, managing two adult day services, and successfully completing site surveys with the Joint Commission, the Ohio Department of Developmental Disabilities, and the Ohio Department of Health. As a chaplain with The OSU Wexner Medical Center, Tim provided spiritual services supporting patient and families alike. Further, Tim has a wealth of experience as a management consultant offering facilitation and training to non-profits, most recently providing his knowledge and expertise to both Clark and Madison County Mental Health Services. 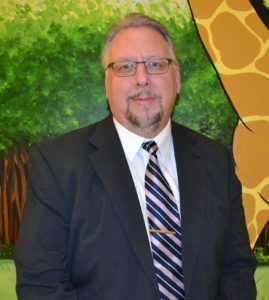 Tim is also a well-versed provider in the healthcare community setting, having served as the Director of Spiritual and Behavioral Services for The Community Hospital in Springfield, Ohio for over 15 years, during which time he managed spiritual services, case management, volunteers, and behavioral services. Other communities served by Tim’s chaplaincy experience include Mt. Carmel Health System and St. Rita’s Medical Center in Lima, Ohio. Tim holds a BA in Ministries and Organizational Development from Bethany Divinity College, a MA from Xavier University’s International School of Business, and a MA from Trinity International University. As a life-long learner, Tim has pursued further continuing education and multiple professional certifications, including Healthcare Administration, from both Franklin University and The Ohio State University. As an educator, Tim has been an adjunct lecturer at both Wittenberg University and The Community Hospital School of Nursing in Springfield, Ohio. Tim is a member of the Bioethics Institute of Trinity International University, as well as a fellow of the John Hopkins School of Nursing “People to People Professional and Cultural Program”, where he served an as international ambassador delegate to South Africa. When not engaged in professional endeavors of leadership, management, education, and pastoral care, Tim enjoys golfing and is an enthusiastic percussionist, drumming with a local Dixieland/Ragtime band. Please warmly welcome Tim in his new role with Heinzerling Community as he embraces our mission in becoming a part of our legacy of caring as our new Administrator. The Human Resources Department of the Heinzerling Community makes every effort to recruit and retain qualified caring individuals who are committed to providing the best of care for our residents. The Heinzerling Community has a variety of employment opportunities available. If you are interested in joining the Heinzerling Community, click here.